Pictured above is my copy of Tales from the White Hart by Arthur C. Clarke. I bought this just over 42 years ago, on Saturday October 7th, 1972 (you’ll see later why I can be so precise about the date). It was brought back to mind last week when a picture of exactly the same paperback edition appeared in Fortean Times – in the latest instalment of Bob Rickard’s ongoing series about “The First Forteans”. During the 1940s and 50s, there seems to have been considerable overlap – in Britain at least – between Fortean subculture, science fiction fandom and amateur space enthusiasts. Arthur C. Clarke was just one of many individuals who spanned all three spheres of activity, although he’s by far the best remembered today. Meetings were held in various public houses around London – for several years in a place called The White Horse, before moving to the better known Globe. In his introduction to Tales from the White Hart, Clarke freely admits that the venue was modelled on the White Horse – and the last story in the book sees the characters migrating to “The Sphere”, obviously a thinly veiled allusion to the Globe. The stories in the book all follow the familiar (and perennially popular) format of the bar-room tall-tale, coupled in this case with a strong hint of P. G. Wodehouse in the narrative style. Most of the tales deal with wacky inventions of one form or another, and while a few of them are inclined to silliness, several of the ideas are really very clever (I mean clever as science fiction, not as proper science!). Tales from the White Hart isn’t a particularly Fortean book. Without the broader context provided by Bob Rickard’s article, you probably wouldn’t even notice the Fortean connection. The cover image does look rather Fortean (or Lovecraftian, perhaps), but it’s purely symbolic. 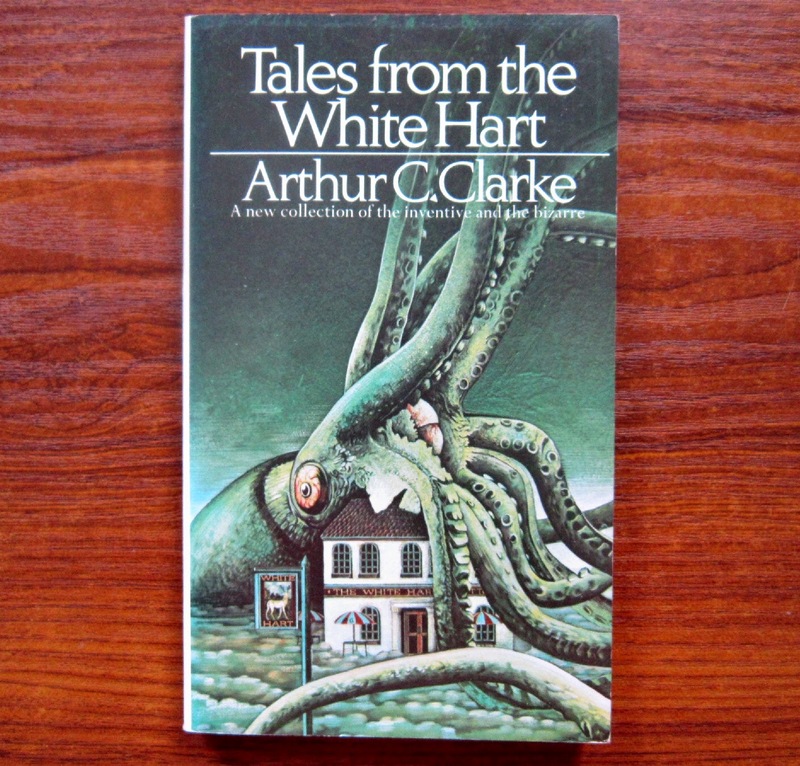 The giant squid comes from one of the stories told in the White Hart – one of the cleverest of them, actually. At the time the book was written, the giant squid had never been photographed alive. The story, called “Big Game Hunt”, deals with a novel method of enticing one to the surface for just that purpose – explained with the customary more-than-half-convincing Clarkian technobabble. The most explicitly Fortean of the stories is “What Goes Up”, which starts with “one of the leading exponents of the Flying Saucer religion” gatecrashing the White Hart. The man is thoroughly ignorant and obnoxious (unlike present-day ufologists), so the regulars decide to burst his bubble with a comically far-fetched anecdote about antigravity. But it turns out the visitor is immune to irony – the story appears in the next month’s issue of Flying Saucer Revelations, printed as straight fact! The paperback edition pictured above (and in Fortean Times) was published in 1972, and I bought my copy that same year. 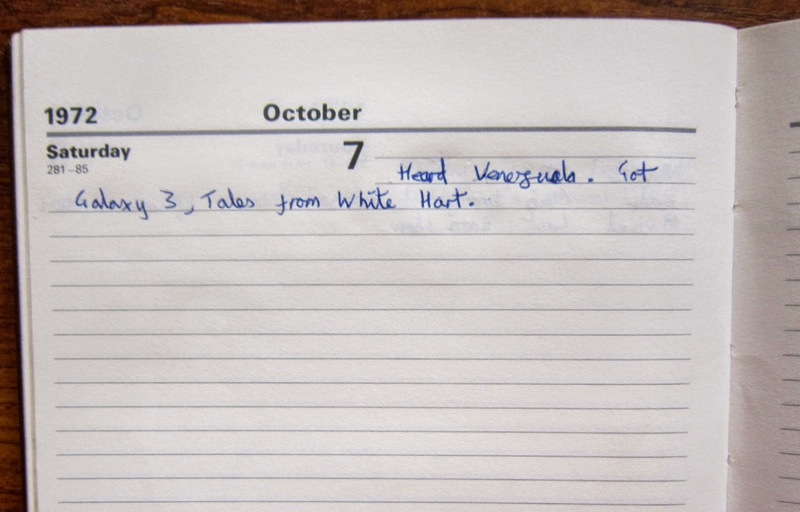 I know, because that’s the only year I ever kept a diary, and it’s there in the entry for October 7th – “Heard Venezuela. Got Galaxy 3, Tales from White Hart”. “Galaxy 3” refers to the September 1972 issue of Galaxy magazine, which was marketed in Britain as issue #3. This contained the second half of Dying Inside by Robert Silverberg, which I mentioned in Literary Name-Dropping (if you look at the cover shown in that post, it has “No. 2” in the upper right corner). “Heard Venezuela” refers to a hobby called DXing, which was popular with teenage geeks in pre-internet days – listening to short-wave radio transmissions from distant countries. 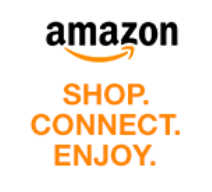 It may have been a commercial radio station or an amateur operator – I used to listen to both. I just had a trawl through my collection of QSL cards, but I couldn’t find anything from Venezuela, although there were several from other countries in South America. 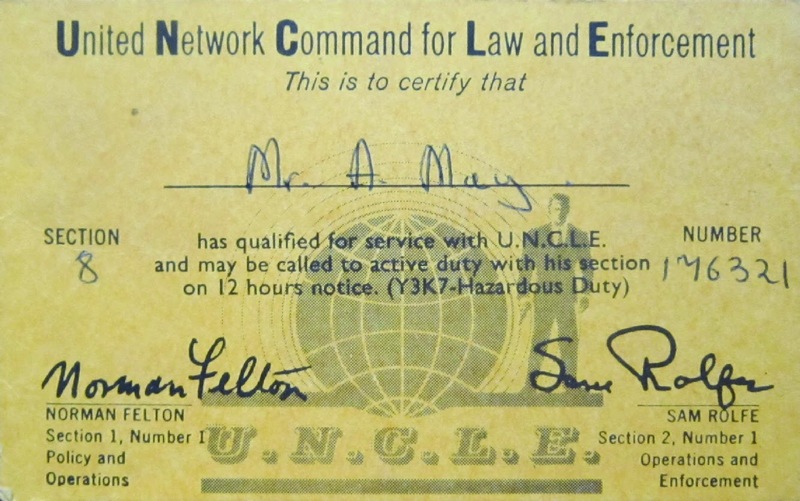 I found something else hidden among the QSL cards – my long-lost U.N.C.L.E. ID card! I mentioned how I’d mislaid it in one of the comments on my blog post about The Man from U.N.C.L.E. earlier this year. I’d already looked for it among the QSL cards, but when I got them out again today I noticed there was something jammed in the bottom of the envelope – and that was it! U.N.C.L.E. ID cards were incredibly popular in the 1960s – probably millions of people around the world had them, and you can find examples quite cheaply on eBay today. But it’s not the same as having one with your own name on it! 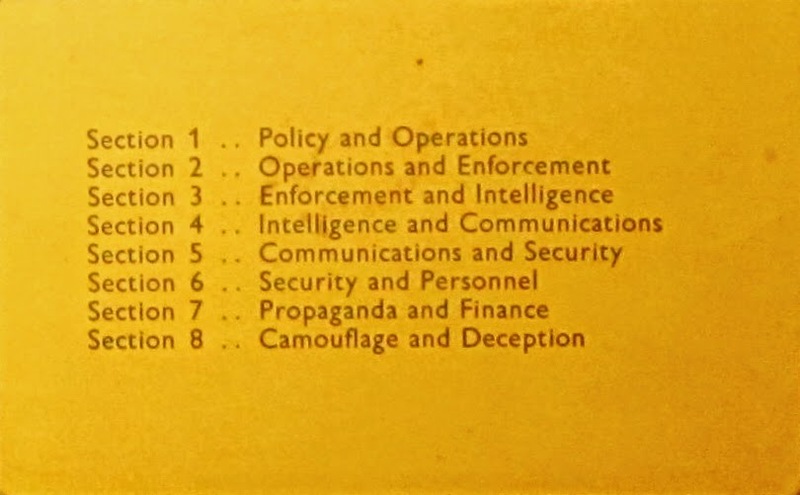 I see I was assigned to Section 8, which (having just looked it up on Wikipedia) is “Camouflage and Deception, known more colloquially as the Lab.” Best place for me, I’m sure. Great stuff, Andrew. The address in the Radio Times for the U.N.C.L.E. cards was 58 St. James Street, London, SW1. I've remembered it all these years. Although the postcode is longer, the Radio Times only gave the 'SW1' part. Can we see the other side please? Thanks Kid. I didn't even look at the back of the card - I just assumed it was blank. But having got it out again, I see it has a list of the section titles. Photograph added above, for the record!